We already knew that the Twin Cities are the best at a lot of things -- hot dish, hockey, passive aggressiveness, the list goes on -- but now that Politico has named Minnesota the best state in the union to live in, the rest of America knows how awesome the whole state is too. Politico's second annual ranking, published just after President Obama's State of the Union address, is based on H.L. Mencken magazine series “The Worst American State.” Taking advantage of the latest data available from the Census Bureau, the FBI, and the Centers for Disease Control and Prevention, Politico complied 14 different rankings of all 50 states and the District of Columbia, looking at factors like per capita income, unemployment, poverty, home ownership, education, life expectancy, infant mortality, obesity, violent crime, etc. when determining its own rankings. 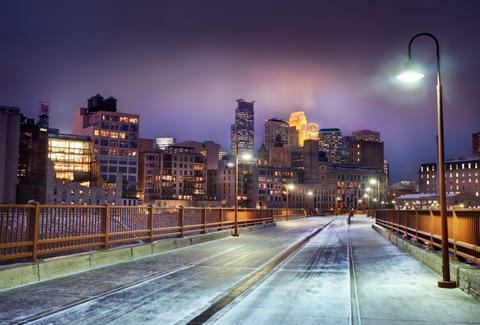 Thanks mostly to improvements in employment, infant mortality, and the obesity rate, Minnesota jumped from second place in 2014 to first place. Okay, technically it was a tie with New Hampshire, but we'll take it. Check out the full list here, and in case you were wondering, the Cheese-Heads over in Wisconsin didn't even finish in the top 10; they came in 17th. Emily Kolars is an Editorial Assistant at Thrillist. She was born and raised in Minnesota. No, she doesn't have the "Minnesota 'O'", but she can't properly pronounce "bag" either. Follow her on Twitter.